An essential part of dental care is choosing the best toothbrush. There are both electric and traditional versions, but it is important to understand the differences. A good brush keeps teeth clean and healthy. Manual toothbrushes are quite common and bring many advantages. These items are inexpensive and get the job done. They are not bulky, so they are easily packed for travel. Since a person has total control over the motion, he or she can apply the correct pressure to all teeth. An electric toothbrush may place too much pressure on teeth, which makes enamel erode. When this occurs, teeth may become sensitive to temperature changes and fall victim to decay. Although manual toothbrushes are used most often, some people choose electric toothbrushes. They are recommended for individuals who do not have the patience or ability to move toothbrushes correctly. For instance, some older people do not have the dexterity to control the brushes and clean teeth effectively, especially when they have arthritis. 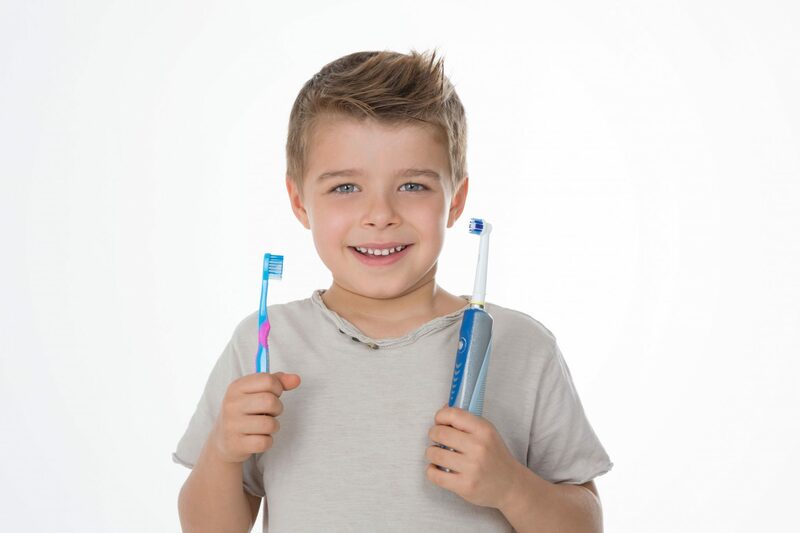 Children often view brushing as a chore. However, they are fascinated by electric brushes and are more likely to use them without hassle. When selecting an electric toothbrush, there are certain tips to follow. It is important to choose a product with bristles that rotate in one direction and switch to rotate in the opposite direction. This is the most efficient configuration to remove plaque and prevent gum disease. According to the American Dental Association, both manual and electric toothbrushes effectively and thoroughly clean teeth. However, it is best to purchase a product that comes with the ADA seal, which assures customers the item has been tested for safety and effectiveness. It is advised to replace a toothbrush every three to four months. With age, bristles become worn and lose their effectiveness. Brushing twice a day will keep your smile white and bright. It is also important to schedule yearly checkups at your dentist’s office. You will receive a professional cleaning and examination so that problems are detected early. Your dentist will be able to provide other helpful toothbrushes tips as well.